The wrong choice of steel storage drums supplier could result in such things as lost production due to slow or delinquent deliveries, damage to the product as a result of chemical incompatibility, and/or fines and penalties for non-compliance regarding hazardous materials regulations. Expertise, service, & competitive prices regarding the vast number of steel drums sizes (30, 55, 85, 110 gallons), uses, and related Hazardous Material Regulations is crucial when making a buying decision, and an essential component of a supplier/customer relationship. The best steel drum or steel drums with lids supplier is a problem solver who can assist in the best choice of open and tight head steel drums, specific to the product being stored and/or transported. Storing and transporting hazardous and non-hazardous products requires the use of durable containers. Open head steel drums are ideal for this type of application. They provide maximum protection so you can be sure that the contents stay safe and will not spill. Check out our huge inventory to see what we have in stock for you. Essentially designed for liquids that require being stored with purity and ensuring the compatibility of materials, tight-headed storage drums are made of steel to add that extra element of safety. Available from 30 to 55 gallons, one can easily check for the UN standards under this category. These are uniquely designed for the shipment of hazardous and dangerous materials and the ease of dispensing such liquids. with lids and other industrial drums, ensuring that the supplier can be responsive in providing assistance with the choice of the most appropriate steel drums with lids or industrial drums, in any size that would meet the specific packaging need of the customer, lined or unlined while offering the most competitive prices. Expertise in function specifics under the HMR (Hazardous Material Regulations), assures dependable advice regarding the responsibilities as an “offeror” of hazardous material and can help the customer understand how to make the appropriate steel drum selection based on the material being shipped, thus avoiding the fines and penalties, which can be severe, for non-compliance with DOT (Department of Transportation) regulations. Service and support before, during, and after the purchase is essential to the supplier/customer relationship. The Best steel drum supplier who stocks many of the most popular sizes, styles and specifications translate into a downsized vendor base, on-time delivery time, and improved productivity for the customer. Avoid the potentially difficult and painful consequences resulting from a poor buying decision. Youngstown Barrel & Drum Co. has been in business over 60 years as an industrial drums and containers specialist. 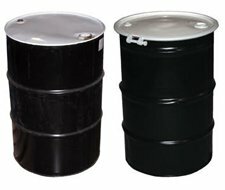 As an integrator of multiple related industrial drums packaging, steel drum storage products such as steel drums with lids, and both rigid and flexible containment products through one source, Youngstown Barrel & Drum Co. provides the highest level of expertise and service, at the most competitive pricing. For more information or to find the best steel drum supplier for your business call visit us at 1-800-359-DRUM. Steel drums are excellent containers for storing, containing, and shipping various products. The fact that they can be used to store and ship chemicals, food, pharmaceuticals and hazardous products make the steel barrels very suitable for various commercial and industrial processes. Nevertheless, to ensure that your steel drums serve you for an extended period, it is essential to take adequate care of the drums. Below are some tips for handing steel barrels. Just like plastic barrels, steel drums also come with Hazardous Material Regulations (HMR) closing instructions. The Haz mat table found in the HMR helps to indicate the kind or hazardous chemicals and pharmaceuticals that can be shipped or stored using the steel drum and which package is allowed given the specific material being packed and shipped. With this, you can be sure that you are using your steel barrels for the right chemicals and pharmaceuticals. When the steel drums slip and fall, the content can spill, thus, causing accidents. To avoid this, pack the steel barrels using pallets of appropriate dimension. Also, ensure that the loads are uniformly distributed when stacking. With this, you can create a well-balanced formation and prevent slips. Rolling steel barrel can bring about dents. While handling the drums, do not roll them. If it is heavy, always employ the safe use of a proper material handling device such as a pallet, barrel grabber, forklift, etc. Avoid Direct Exposure to sparks or flames. Exposing steel barrels to the above can affect both the product and the drum itself. If you use the steel barrels to transport ignitable or explosive chemicals, do not expose them to sparks or flames and consider a grounding wire. With this, you can avoid a hazardous event. At Youngstown Barrel & Drum, we offer you high-quality, industry standard steel barrels. With the tips above and applying paint to the body of the drum from time to time, your steel drums will serve your commercial and industrial needs for an extended period. If you’d like more information about steel barrels or would like to inquire about purchasing steel drums or barrels, please contact us at Youngstown Barrel & Co. We have many different types of drums and containers to suit all purposes and needs. Our friendly staff are always standing by to help answer and all of your questions. Please give us a call at 1-877-721-1264. We look forward to finding you the right solution.